President of Pakistan, H.E. Mr. Mamnoon Hussain has strongly condemned the terrorist attacks in France and expressed solidarity with the people and Government of France. The President stated that terrorists are enemies of humanity and they have no religion. The President said that Pakistan condemns terrorism in all its forms and manifestations. He stated that Pakistan has also been a victim of terrorism and it can understand the pain of people affected by terrorism in any part of the world. The President extended his deepest condolences to the families of the victims and prayed for speedy recovery of the injured in terrorist attacks in Paris. The President said that international community would have to adopt a joint and effective strategy to eliminate the scourge of terrorism. 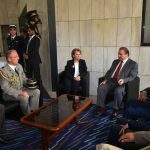 November 17, 2015: The Prime Minister of Pakistan, H.E. 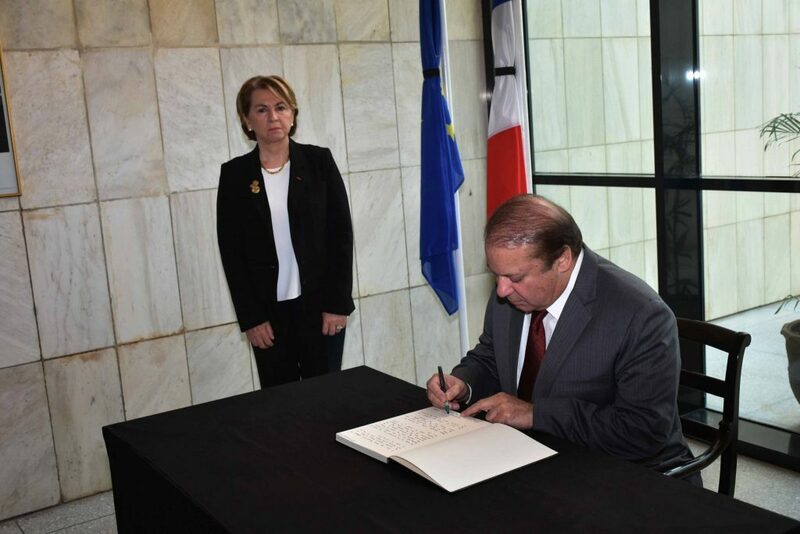 Mr. Muhammad Nawaz Sharif visited the Embassy of Republic of France in Islamabad today. He was received by the French Ambassador to Pakistan H.E. Mrs. Martine DORANCE. 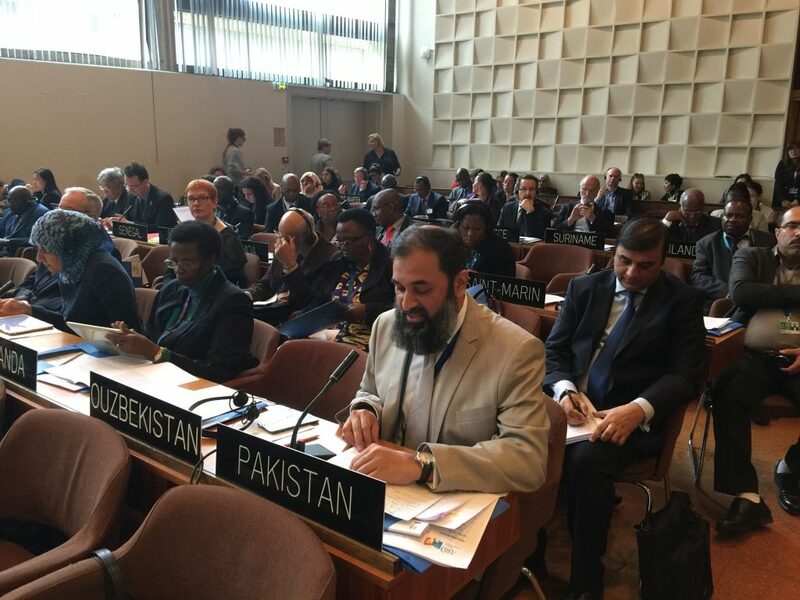 Paris: November 11, 2015: Pakistan has been elected as member of UNESCO Executive Board here this evening. The Victory is seen as a recognition by the World of the principled stand taken by the Prime Minister Nawaz Sharif and his Government on various International issues. The Embassy of Pakistan, Paris undertook an extensive lobbying campaign for this election. 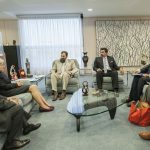 As result of its election to UNESCO Executive Board member, Pakistan will get unique and exclusive opportunities to influence its policies towards Educational, Cultural and Social uplift, Safety of Journalists and Freedom of Expression around the Globe. Minister of State for Federal Education and Professional Trainings MR. Mohammad Baleegh ur Rehman has asked UNESCO to ensure that an effective oversight is kept on those countries which are to contribute towards financing of 2030 Education Agenda Framework for Action. He said this while making a statement at UNESCO forum of the said agenda. He said that all members being the inhabitants of planet earth have embarked on an ambitious and visionary journey of hope, aspirations and good wishes, which is expected to change the world for better. He said that most important among all goals is to ensure equitable quality Education and promotion of lifelong learning opportunities. He acknowledged that he goal is ambitious which talks of opportunities for learning, equity, quality and inclusiveness. In short, it talks of providing a balanced, a level playing field to all children and humans, at least in educating them, in equipping them with tool of knowledge and skills, enabling them to lead a better life and stay protected from menaces of extremism, crimes, poverty and other evils, he further said. He pointed out that Pakistan as a member state and as Chair of E-9 countries, has played an active role in finalizing EDUCATION 2030 – FRAMEWORK FOR ACTION. This framework is a forward looking and pragmatic document and do-able plan, he said. He hoped and expected that while United Nations and UNESCO have an effective oversight on governments around the globe in seeing to its true implementation, an effective oversight is also kept on those countries who are to contribute as all of us know that without that adequate financing, it would not be possible to achieve the goals, unless Overseas Development Assistance, as envisaged and designed is realized. EDUCATION 2030 – FRAMEWORK FOR ACTION is new UNESCO agenda for social development. Earlier, he had a meeting with Director General UNESCO Irina Bokova. Ambassador of Pakistan to France Mr. Ghalib Iqbal was also present during the meeting. Minister of State for Federal Education and Professional Trainings Mr. Baligh ur Rehman has said that Pakistan stands fully committed to the targets of Sustainable Development Goals (SDGs) 2030 of UNESCO so much so that we have declared and adopted these goals as our national development goals 2030. While UNESCO celebrates its 70th anniversary, Pakistan admires, acknowledges and strongly supports the continued effort of UNESCO in the critically vital important sectors of education, culture and science, UNESCO’s role in shaping up and finalizing the education agenda for SDGs 2030 is truly commendable. A dynamic and strong organization has to be ever-evolving and should be reforming itself from within. 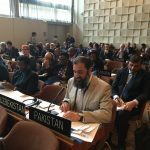 Pakistan wants to see UNESCO grow stronger and more effective. After finalizing the education agenda and adopting framework for action for SDGs 2030, now UNESCO has to prove its relevance and effectiveness through demonstrating results in its strategic areas of intervention, by not only keeping an oversight and mapping the progress towards achieving the relevant goals but has to be very effective in ensuring “financing for development” and O.D.A. targets, without which all of us know that it will remain a shattered dream. Sustainable Development Goals 2030 are human centric targets. They talk of every child, every human being and our planet earth, without any discrimination. Pakistan fully stands committed to these goals so much so that we have declared and adopted these goals as our national development goals 2030. We have established cells at Foreign Office, Ministry of Planning, Ministry of Health and Ministry of Education for SDGs which are fully functional now while remaining relevant Ministries are in the process to do the same. Our vision, strategy and plans are being aligned with or around these ambitious goals. The current federal and provincial governments of Pakistan inherited huge problems in education with millions of children who are out of school, high dropout rate, gender disparity and low literacy rate. Within first year of the governments i.e. in 2013-2014 we saw that all the provincial government were spending around quarter of their entire budgets, yes, around 25% towards education while Federal Government revised its spending by almost 50% than previous year. The results were impressive. The number of out of school children dropped by 10%, net enrolment went up by 7% literacy rate went up by 3.5%. Honourable Director General in her opening address made an appeal for advancing education of every child especially girls. Girl child education is very close to our hearts. Pakistan has seen those terrible times when schools especially girl schools were being blown up by terrorists. All of us know the story of Malala Yousafzai, a noble laureate now, is a towering figure and is recognized throughout the globe as icon for education especially girls education. Pakistan by donating US$ 10 million has helped create a UNESCO MALALA FUND to be utilized globally for the cause of girls education that all nations should however small your contribution is, but it should be there. All of us must be supportive of the right cause. Here, I must also share with you that beside education, ending extremism has been one of the top four priorities of the government. Now, alhumdulillah, after impressive ongoing military operation, legislation and other measures, the extremist elements have either been taken out or are on the run. Incidents of terrorism and bomb blasts have been reduced to almost zero. The areas where schools were being blown up or evacuated is now witnessing that new schools are being built. Extremists and terrorists have lost and Malala mind-set has won. Yesterday I witnessed the impressive ceremony for the award of UNESCO AVICENNA PRIZE FOR ETHICS IN SCIENCE. 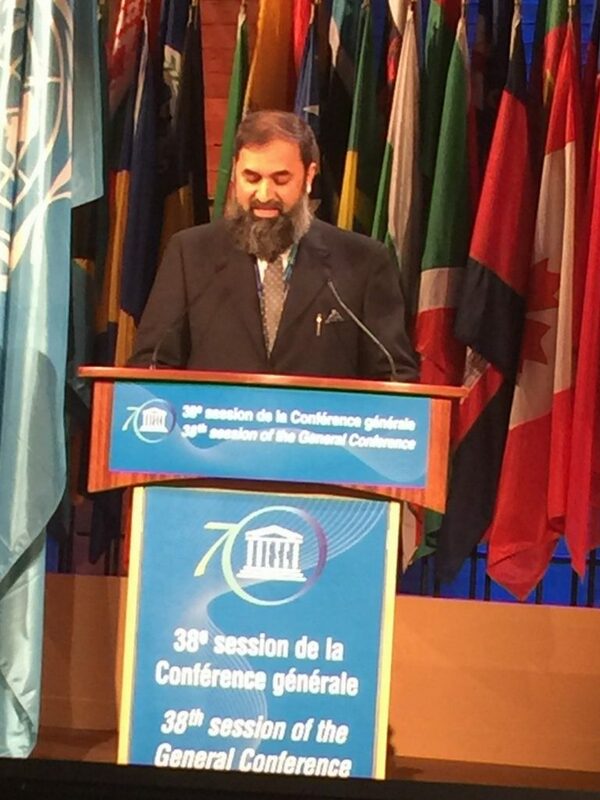 I congratulate UNESCO for duly recognizing and highlighting importance of ethics in science which is much needed. I would also like to thank the government of Islamic Republic of Iran for co-sponsoring the prize. Here I would like to congratulate the winner of the prize, DR. ZABTA KHAN SHINWARI who is an accomplished Pakistani scientist, for making us all proud of him and his achievements which are now being recognized globally. I would also like to draw to attention to the International Convention (1970) on the protection of cultural heritage, and many of our cultural heritage items have been illegally sold abroad. Excellencies, ladies and gentlemen, in the end, let me emphasize that the very purpose of this august gathering is to streamline international cooperation, bring about solidarity, promote tolerance and understand and respect others’ point of view, to share good practices and synergies.